A small business like an ice cream business may face a lot of competition. Promotions are key if they want to survive this onslaught of competition. They can promote through a lot of channels. Advertising through the internet or through paper advertising, or both. There are a lot of nuances that go on Internet advertising, with social media or banner advertising and all given that it is a recent development. Paper or print advertising, however, is a tried and tested means of advertisement. This type of advertising could range from the simple like paying for a space in the local paper to the wee bit complex like brochure designs and flyer templates. If you plan on going on the route of the brochure, you will need to consider its design carefully. 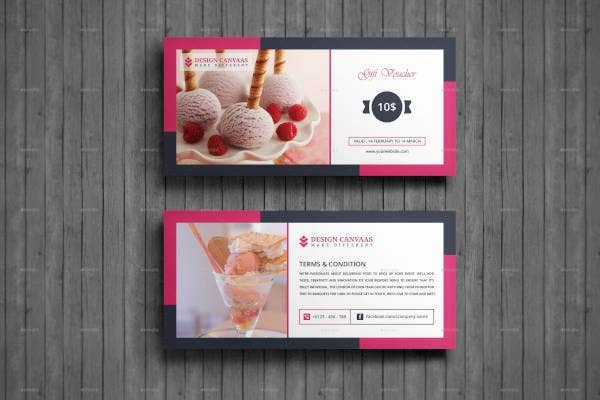 Brochures, rack cards, and flyers need to reach the hands of its audience in order for those things to do what it is that they are designed to do. Of course, your intended audience will not pick them up if they fail to grab the said audience’s attention. As such, your paper advertisement will rely on a number of gimmicks in order to be picked up. One such gimmick is through offering discounts by including coupons and voucher templates. Vouchers are a proof of a redeemable transaction type which is worth a certain monetary value. They may be spent only for specific reasons or on specific goods. It is usually printed on a small piece of paper with information that defines the terms of usage and expiry of the said voucher, along with other related information. It could also be referred to as a coupon, token, ticket, license, permit, or pass. You may also see thank you voucher templates. If you plan to include vouchers in your advertising strategy, it is important to know how they work. 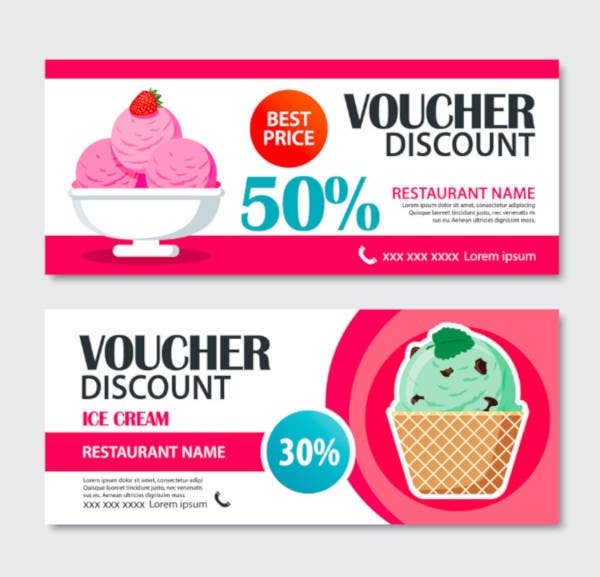 These three core elements of a retail voucher (like your ice cream voucher) will help you understand how you should design your vouchers, how you should offer it, and lastly, how to effectively use it. You can also read ticket voucher designs. People always act because of a reason. That includes redeeming a voucher. You must be able to provide your customer who has your voucher a reason to visit your store to redeem that voucher. A good voucher will give the customer a good value that might attract him or her to use it. This value could be a cash reward, a discount, an additional scoop of ice cream for every order of a certain amount. The possibilities are endless. You can even customize this value to suit the category of your customer. You may also collect from blank voucher templates. Remember the adage: “Nothing good lasts forever.” If it is any good, your voucher should also not last forever. 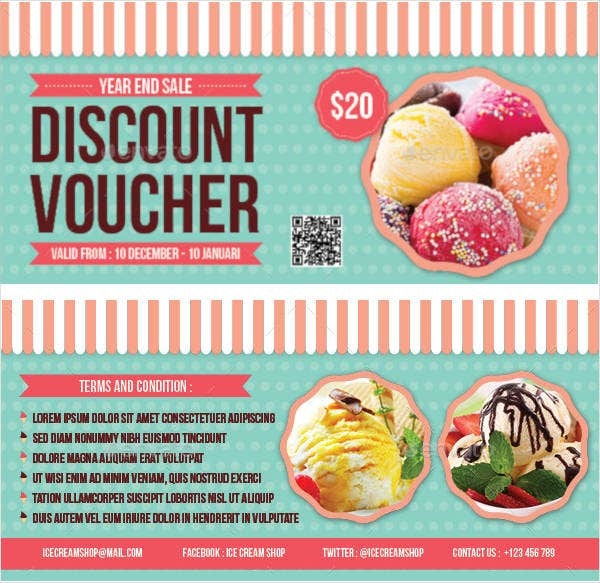 In order for it to reach its purpose, your ice cream voucher must have an expiry period. This provides an immediate and urgent call to action that a customer might need to redeem the aid voucher without taking long. 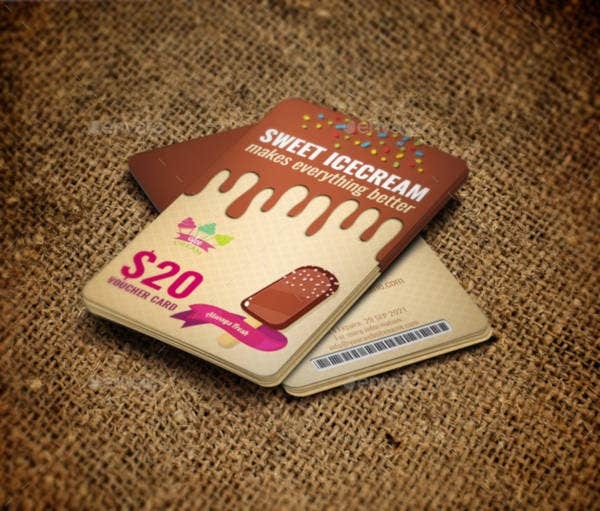 In order to maximize the effective use of your ice cream voucher, customers should not just be able to haphazardly use it at any given time. A voucher is used to build a first impression to its customers, that they may be enticed to come back for more in a later date. A voucher is not used to give away free stuff. Such thinking can wash the company down the drain. You can also read restaurant voucher templates. As such, your customers should at least meet conditions before they can avail of your voucher. Some of these conditions could be like the expiry period above. It could be a “2 for the price of 1” deal or to give an extra scoop for every 2 scoops of ice cream. You may also see sample ticket voucher templates. As stated above, vouchers are mainly used as a proof or as some kind of receipt to exchange for a certain discount or product. 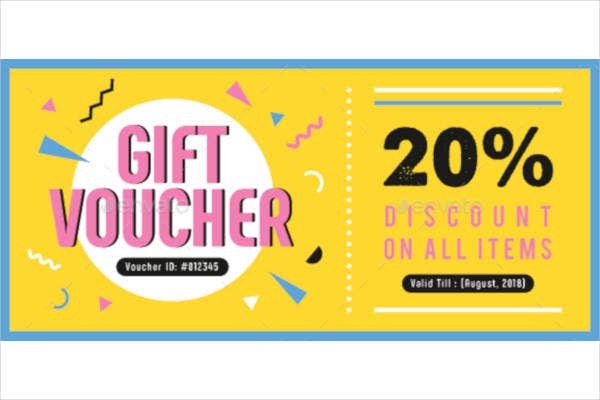 However, if you properly plan the design of our voucher, they can also make for an effective extension of your advertisement. 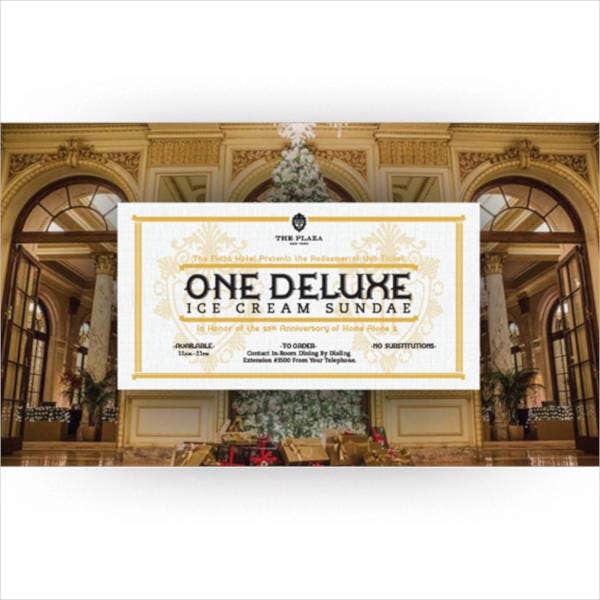 To put it simply, your voucher’s design, like all the other print advertisement, must be exciting. It must bring a sense of wonder and curiosity in the minds of your audience. Careful use of photos and logo designs can bring this intrigue to your consumers. 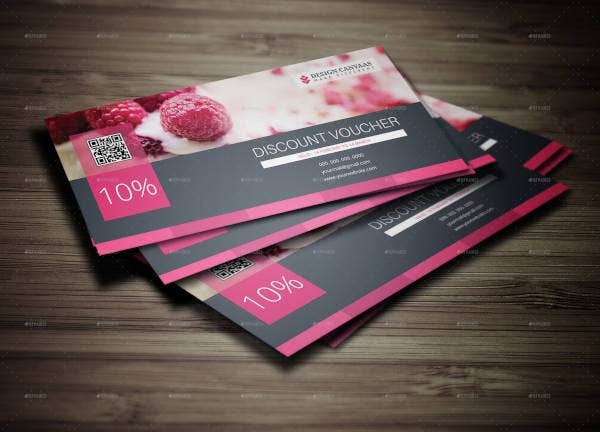 Vouchers that provide full-color and eye-catching content can compel customers to them up. Once the visuals have done its work, it is time for the text to work. The information found in your voucher is the most important part of your voucher’s elements. As such, the text found in your voucher must be clear and easily readable. 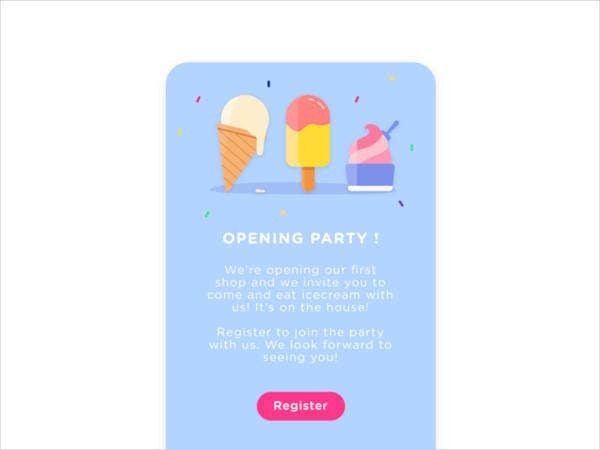 However, do not go overboard with text, rather, just use enough to get your message across without overwhelming the customers with too much information that is unnecessary. 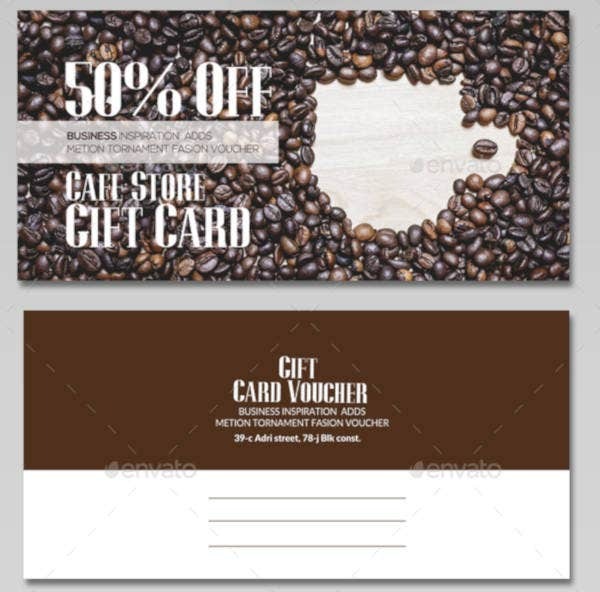 You may also see business voucher templates. A great way to condense this information is to try to answer the most frequently asked questions, namely the whats, the wheres, and the hows, along with other necessary information like the title, expiration date, and the conditions for redemption. Never trick your customers and always specify restrictions if there are any. That is the sign of a trustworthy business and a trustworthy brand. 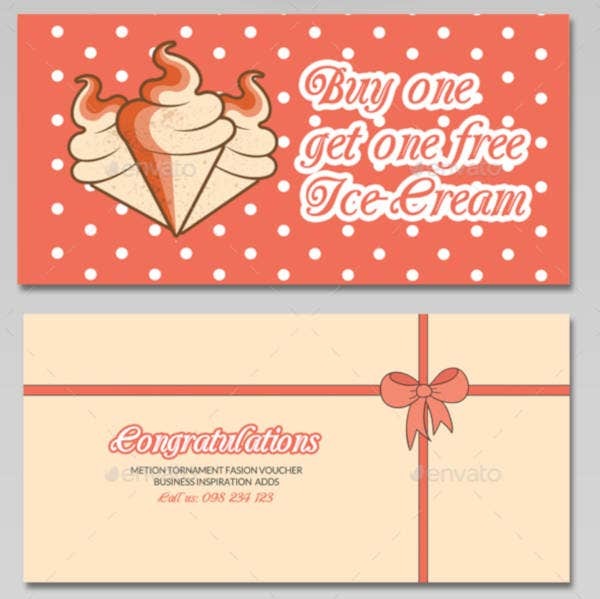 You can also like discount voucher templates. Just as with other marketing materials, your voucher must have a strong call to action. You should provide a direction to your customers on where to go or what to do next. Call to actions are the there to ensure that your promotion will have a conclusion, and that conclusion should be new customers. You may also see food voucher templates. Vouchers are made to be distributed. As such, you must emphasize a great focus when planning on how to distribute your vouchers. No matter how smart or valuable your vouchers and its offerings are, they will rot in shelves if your customers do not know about it. Pay ample time and particular attention when strategizing on your distribution methods. There are many ways to distribute your voucher, whether online or offline. For the case of this page, let us focus on the offline methods. 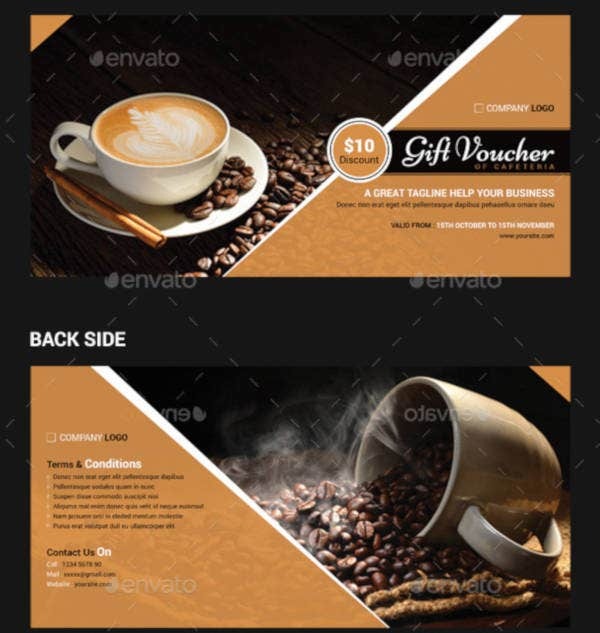 You may also see coupon voucher design templates. Vouchers can be attached to other print advertising materials like rack card designs, flyers, and brochures. Doing so forms some kind of symbiotic relationship between the two. A brochure can carry additional information about your place that your voucher cannot while the voucher can add a point towards making the brochure interesting. 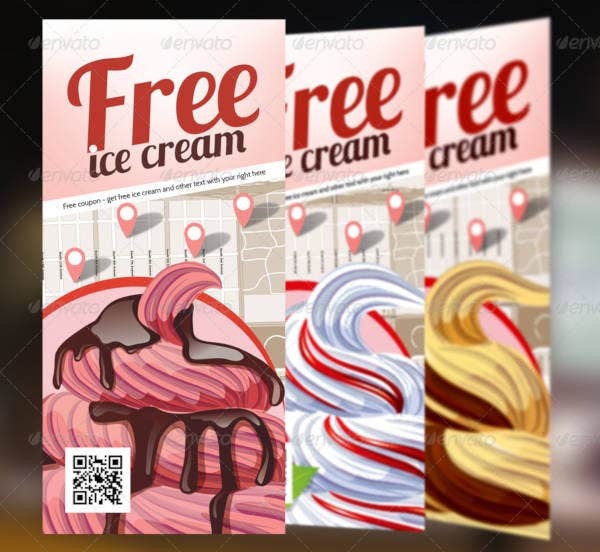 It does not even have to be a brochure for your ice cream shop. You can try to ask businesses related to or within the vicinity of your store that is noncompeting to carry your voucher. The idea of print vouchers and print coupons have long existed since The Coca-Cola Company issued the first coupon in 1887. While digital vouchers and online vouchers are easier and more convenient to redeem, print vouchers still have their place in the retail world with a representation of 44%. Vouchers distributed through magazine and newspapers still have their popularity among consumers even in today’s digital age. At least 70 people out of a hundred still look for and use old and reliable print coupons in newspapers and magazine subscriptions. You can also see massage voucher templates. Although not as prevalent as today, you can still send your vouchers and coupons through the mail. If you have a mailing list, for your customers, it is totally a viable way to do so. In fact, it is through this sending of mail to a pharmacy’s customer that Coca-Cola, the pioneers of coupon distribution, distributed the first coupons. Good for redeeming one free glass of Coca-Cola, it allowed everyone their first taste of the market-dominating drink. The rest, as they say, is history. You can also read dinner voucher templates. Are Vouchers and Coupons Right for Your Business? Everyone appreciates a good deal. A good deal can drive a lot of traffic to your establishment. Coupons and vouchers work for most sizes and types of business, big or small. However, a small business may get frustrated when they think they have to give away coupons just for customers to try their offerings. However, these exclusive discounts will have a very positive effect on the business. It may even secure a customer’s loyalty. 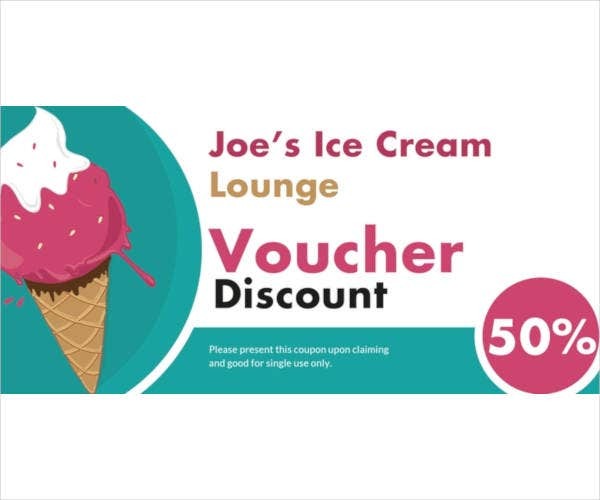 Keep in mind that the main purpose of the voucher is to encourage potential customers to try your product, which in this case is your ice cream. If what you offer will satisfy their expectations or surpass it, they will most likely stay. Vouchers provide an opportunity to convince new customers to switch to your brand. Do not waste that opportunity. You may also see gift voucher samples. Vouchers and coupons are good for your simple business. They are great promotion materials for your small business. They can easily reign in potential customers by providing great incentives for said customers to visit your place and try out your products. However, if a voucher is not planned properly and given not much thought, ie. bad design, arbitrary discounts, they can be costly for the business. Vouchers are a great way to drum up business. Make them count.